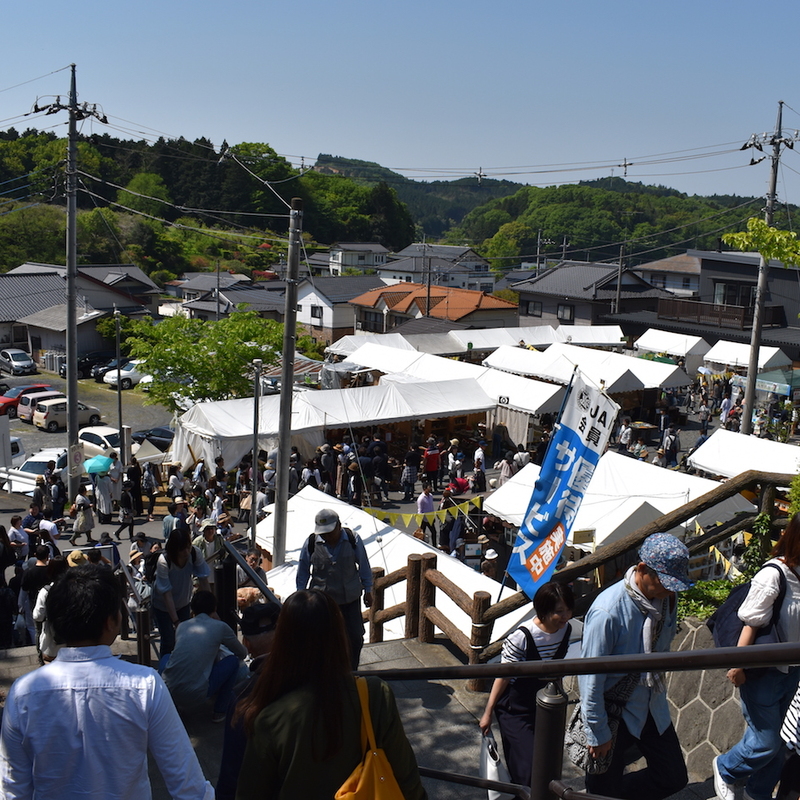 I was lucky enough to be invited to do a seven week residency at the Mashiko Museum Of Ceramic Art, from April till the end of May 2018. I stayed in the residence on the Museum grounds and had full access to the pottery workshop there, with the aim of making work for an exhibition in 2019. 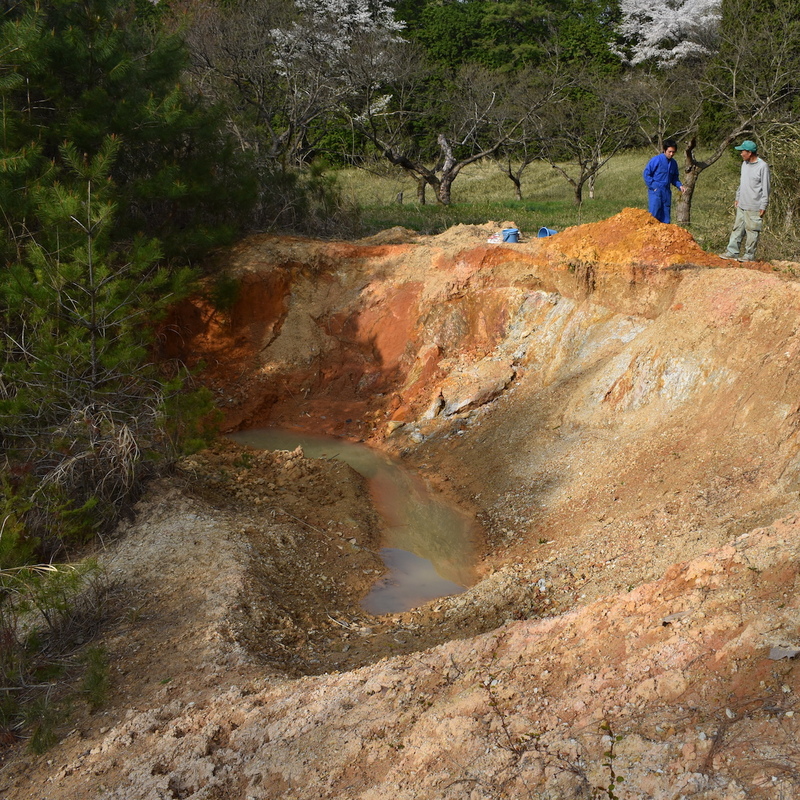 I would be working in my usual way: collecting samples of rocks and clays from the area, crushing, grinding and blending them to make glazes that represent the mineralogy of the local geology. Seven weeks away from my home workshop in a country I had never visited before seemed like a long time, but my process is often painfully slow. 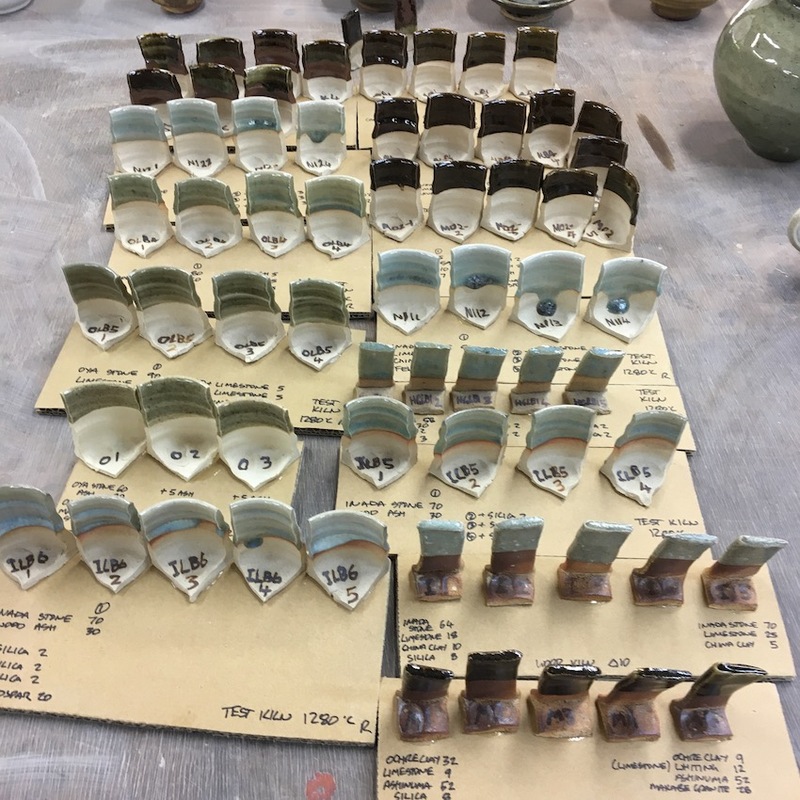 There is so much preparation and testing to be done and then repeated firings to get the recipes to a point where the glazes start to sing. 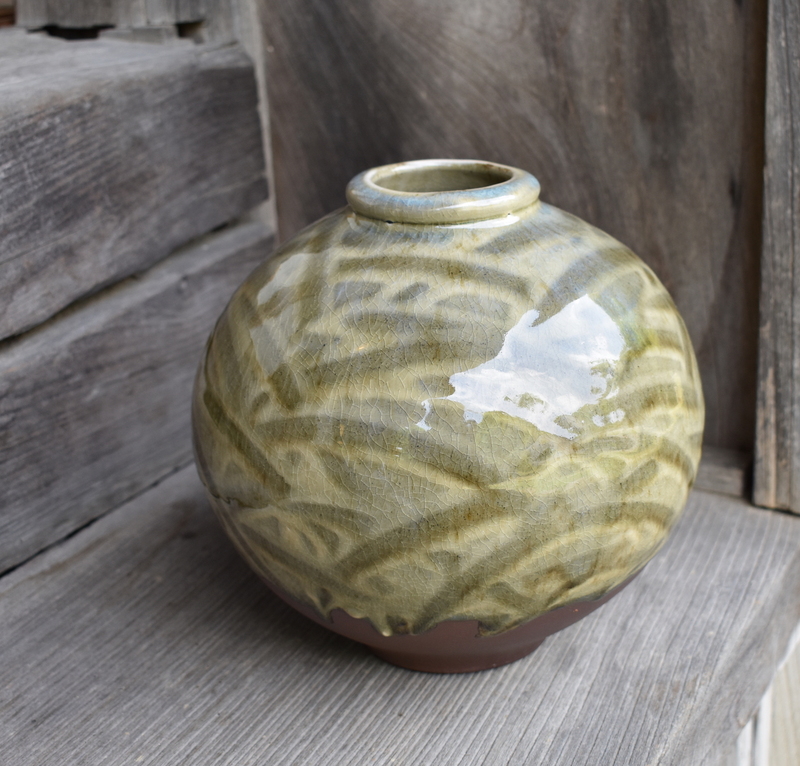 During this residency I would have under 5 weeks to test all my glazes and make enough work for a single wood firing. I know that if I was to get anything good at the end I would have to hit the ground running and work very hard. Before I left the UK I did research on the geology of the local area and managed to find a list of working quarries and other places where I would be able to get access to and samples of some of the rocks and clays. The Museum staff were extremely helpful, and when I arrived I had a selection of buckets of gravel, grit and chunks ready for me to start work on. The local potter Abe, who worked in the Museum pottery and was tasked with helping me was a font of useful information and endless assistance. 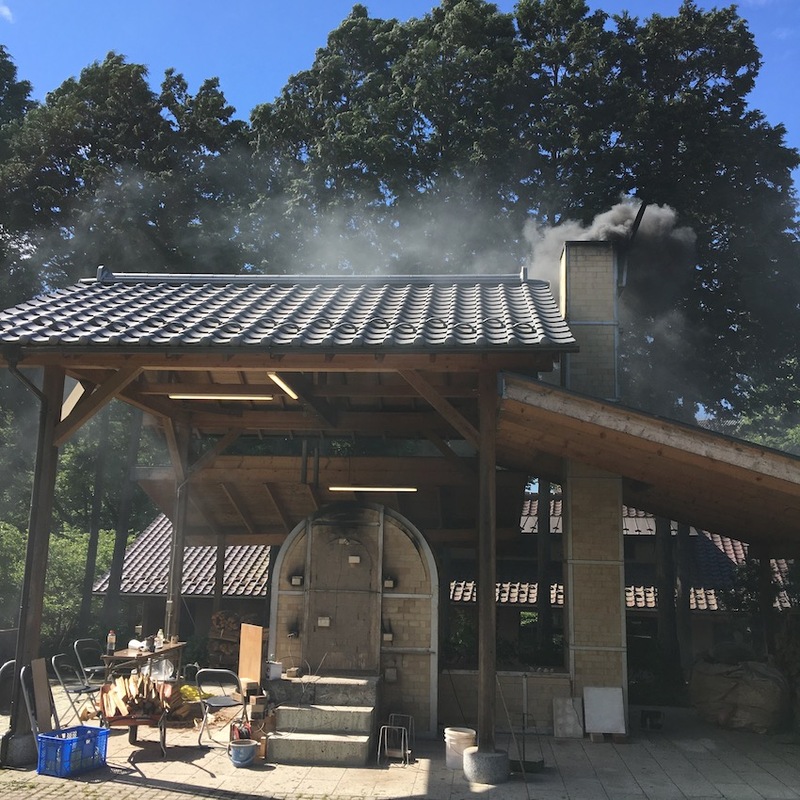 In the pottery there was a small electric test kiln, which included a small LPG burner attachment enabling me to do reduction fired tests. I must have used this kiln over 10 times, each time full of glaze and clay tests. I managed to sneak some pots in a wood firing about halfway through my residency to see how the rocks would react to a wood firing. 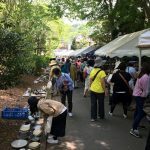 This was just before Golden Week, a public holiday in Japan, where the usually sleepy Mashiko turns into an extraordinary 9 day pottery festival that absolutely takes over the town. 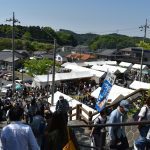 Mashiko has a population of around 22,000 people and during Golden Week the visitors number over 80,000. People start arriving at around 6 am every day, for 9 days, all to buy pots! Many of the potters are local (there are over 500 potters in this one small town) but some from further afield. The range of work is amazing and the quality generally very good. 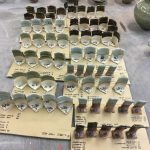 I was able to use this time to focus the direction of my research, calculate my final few glaze line blends and biaxial tests and start making work for the firing. 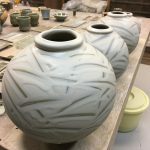 I was also lucky enough to visit a number of the local potters, who were extremely generous with their time, and even help with firings. 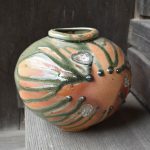 In the end I used a number of the local clays, plus clay from nearby Kasama, and Hagi and Shigaraki clay to make my work. 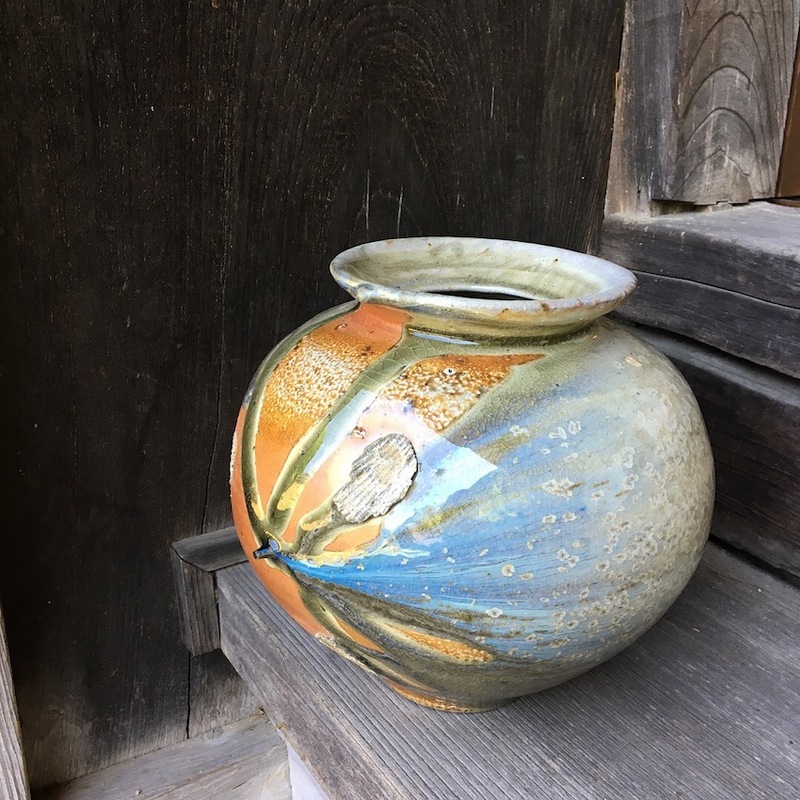 I used the local Ashinuma stone, which is used alone by potters to make a kaki or persimmon glaze, plus a number of rocks that are not currently used by potters, including Haguro stone, Inada stone, Makabe stone and Oya stone. All gave very promising results, though I was particularly struck by the properties of Haguro stone. 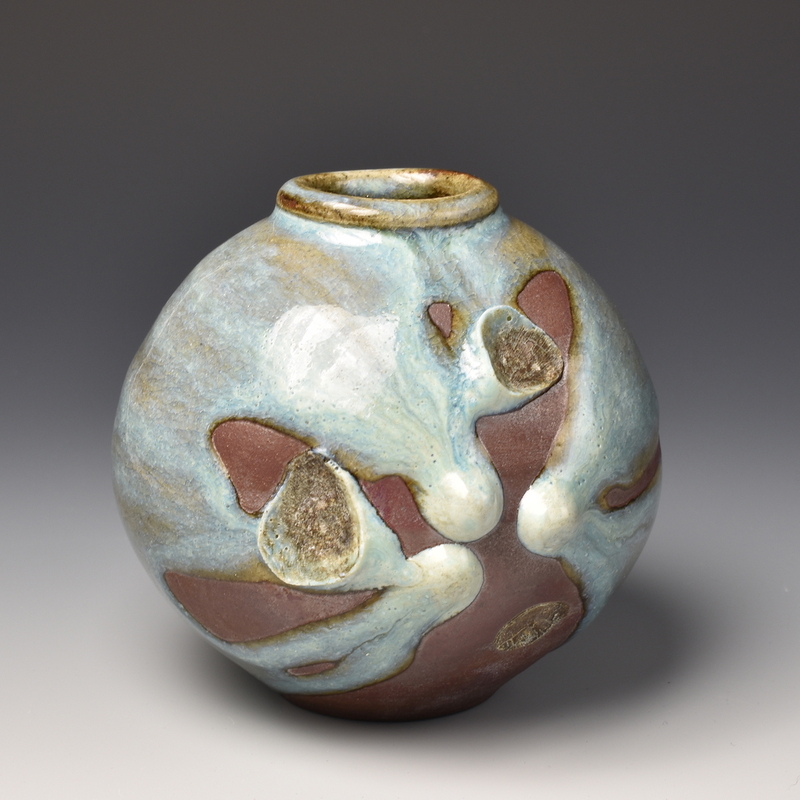 I did get some beautiful glazes from it but 7 weeks was not really enough time to do this wonderful material justice. 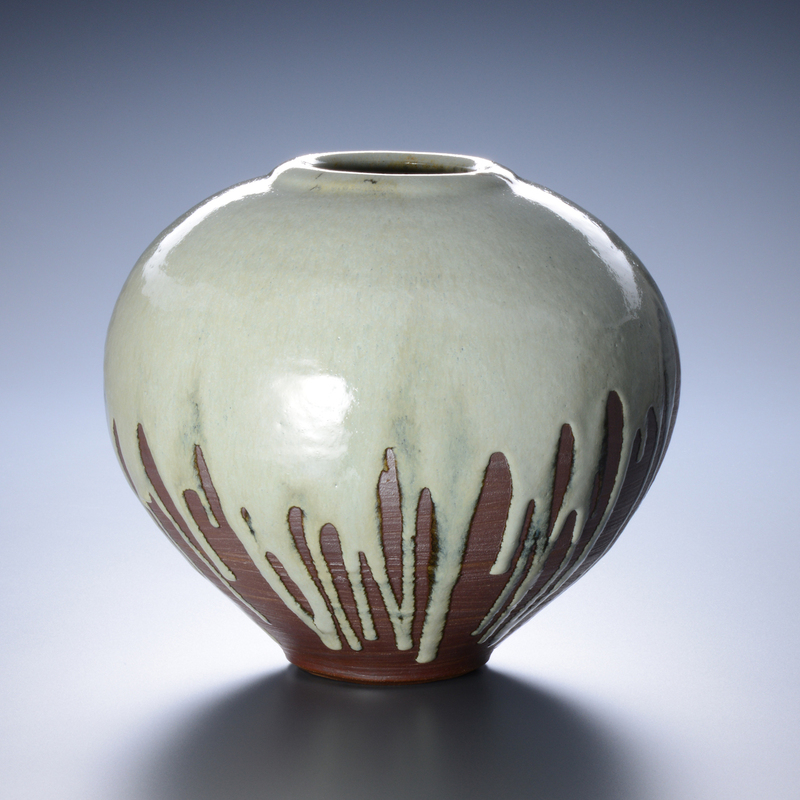 I was also very interested in using the Oya stone to make glazes. 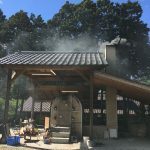 It is everywhere in Mashiko: a lightweight cheap pumice like building stone. It is used for pavers, walls and external cladding on wood kilns. I was advised that it gives very similar results to Ashinuma stone, and there are nuggets of dark stone within it that do seem related to this, but actually it turned out to be a very different stone. Much more 'acidic', meaning higher silica levels and less iron. The glazes that I managed to develop from this stone are among my favourites. They are quite fluid but have a gorgeous richness and depth to them. 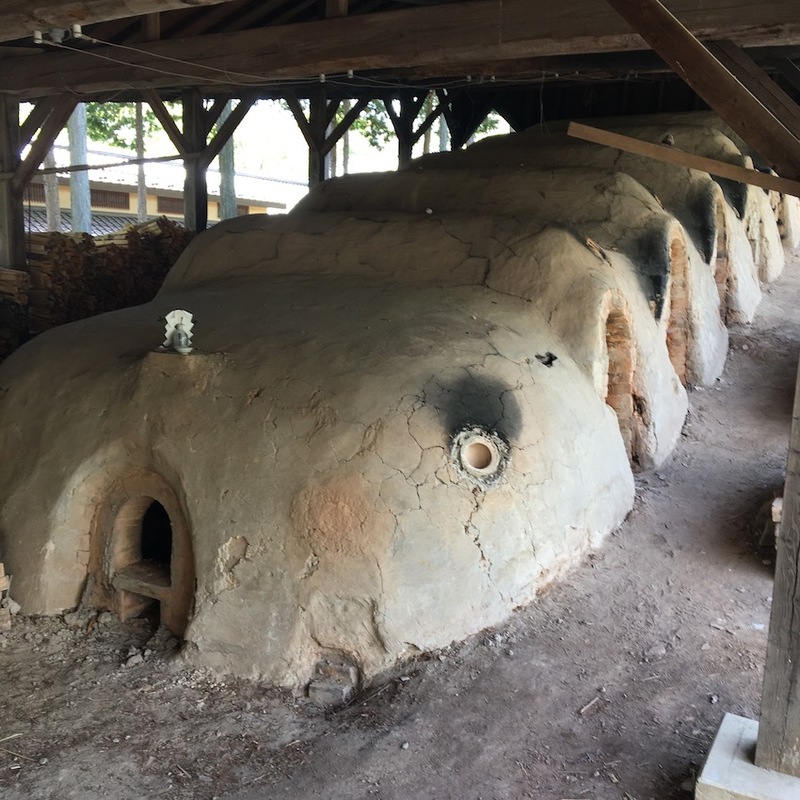 I fired the wood kiln with just under a week to go, giving enough time for it to cool and me to unpack, assess and clean up the work. Fortunately it was a very good firing, particularly considering that it was the first outing for these rock glazes. 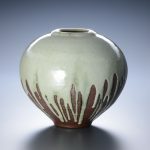 Particular favourites were the Haguro stone and Oya stone glazes on the dark Kasama clay, and the opaque white Inada stone glazes on the Mashiko ochre clay. The Museum selected five pieces for their permanent collection and I left enough work for an exhibition that will be held in Spring 2019. 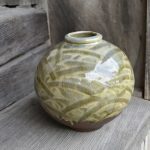 I did ship back a few pieces that I am planning on exhibiting at a future date.